The Exhale CO2 bags are a unique and practical solution for continuous carbon dioxide cultivation. It will provide you with necessary carbon dioxide 24 hours a day, eliminating bottles refilling and usage of costly production units. 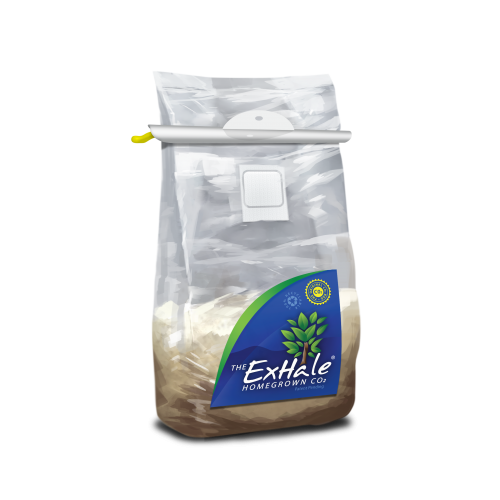 The Exhale CO2 bags are a maintenance free product that does not require heat or electricity for operating. How Do Exhale CO2 Bags Work? 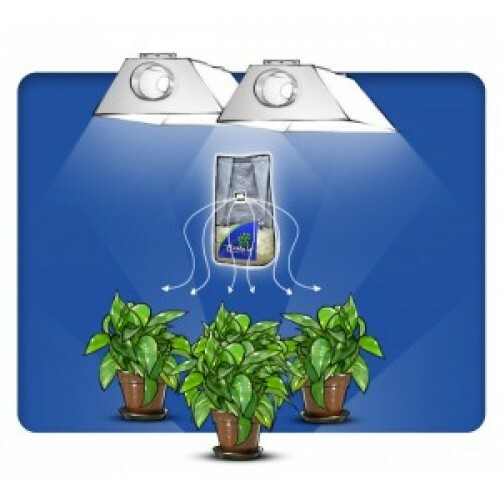 The working principle of Exhale CO2 bags is based on the process of photosynthesis. Photosynthesis enables plant leaves to generate necessary carbohydrates. Through this extraordinary process, chlorophyll situated in plants’ chloroplasts facilitates the conversion of sunlight, water, and carbon dioxide into oxygen and carbohydrates. When photosynthesis process in the plant is maximized, the results are reflected in healthier plants that produce greater yields. However, when grown indoors with the aid of artificial lights, plants tend to lack enough CO2 for efficiently performing photosynthesis. 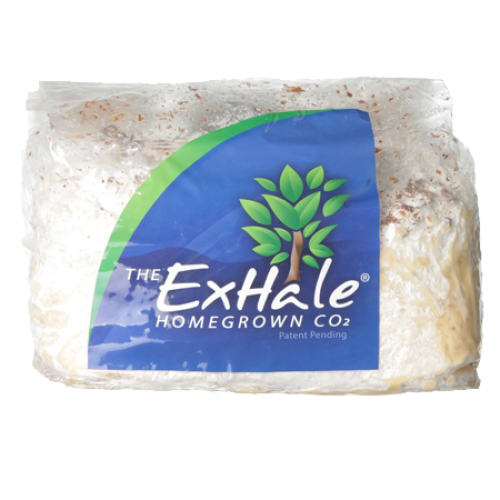 The power of Exhale CO2 bags is rooted in the mycelial mass within the vented cultivator which generates carbon dioxide. For up to 6 months, generated carbon dioxide is continually released in the plant growing environment. One bag of Exhale CO2 is optimal for supplying 4-6 plants with the necessary amount of CO2. It is ideal for vegetable, fruit as well as flower cultivation. Exhale CO2 Bag The Exhale CO2 bags are a unique and practical solution for continuous carbon di..